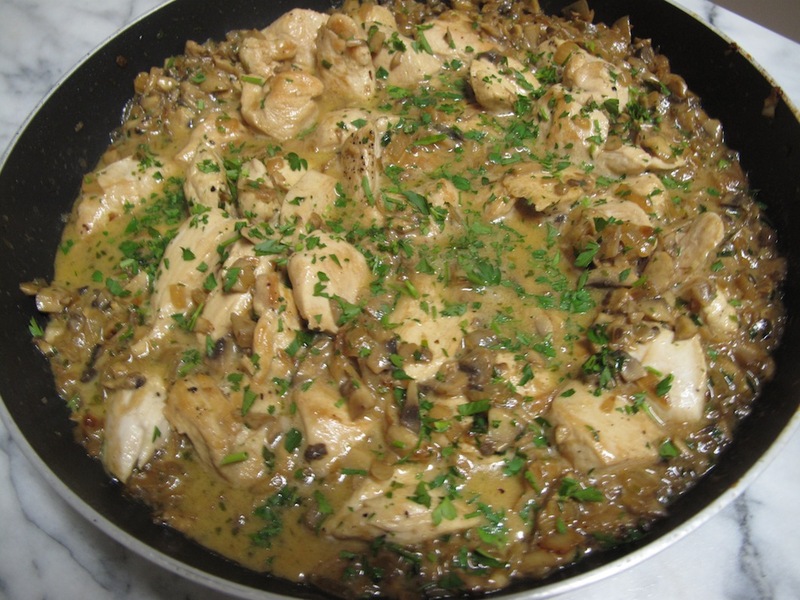 I had the perfect opportunity to make a dish with chicken and mushrooms in a creamy sauce with tarragon. A German chef once taught me to make mushrooms with a splash of Worcestershire sauce, and I thought this was the ideal time to use Willow Creek’s delicious Cabernet Sauvignon Balsamic Vinegar instead. Slice the chicken breasts on the slant – about 4 diagonal pieces per breast. Season the chicken well with the desert salt and the freshly ground black pepper. In a large non stick sauté pan swirl in some of the extra virgin olive oil and a couple of tablespoons of the garlic infused oil. Over medium heat lightly brown the chicken scallops on both sides and set aside for later use. Now add the onions to the pan and fry over medium heat until they are golden brown. Add the mushrooms and continue frying. The mushrooms will give up their water – continue cooking until the pan is dry. Meantime chop the parsley and the tarragon together until quite fine. Add to the pan with the stock and the cream. Add the chicken and simmer gently until the chicken pieces are cooked through. 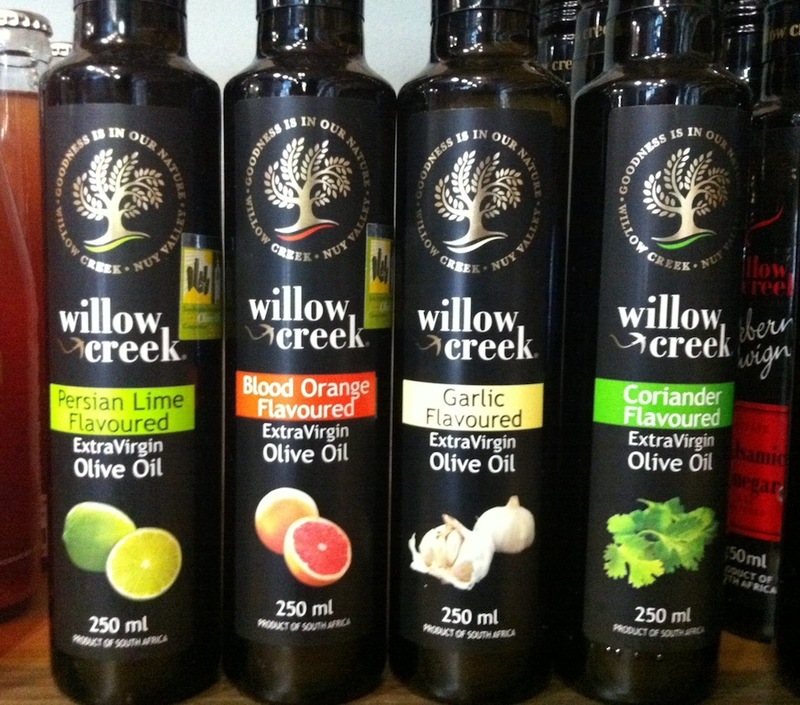 Stir in the Willow Creek Cabernet Sauvignon Balsamic Vinegar – add more to your own taste. Taste and reseason if necessary. Serve with steamed Basmati rice or cauliflower mash and a steamed green vegetable.